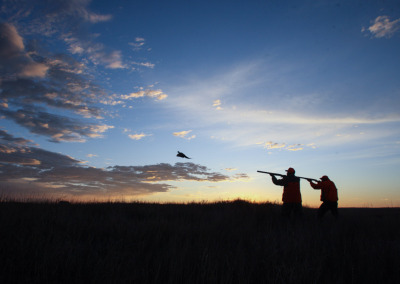 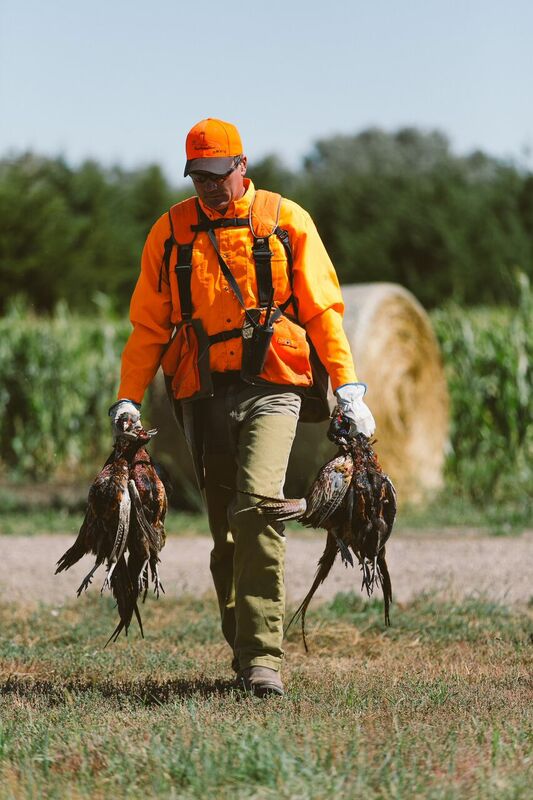 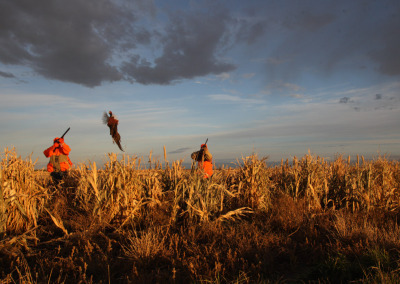 The corner piece species of the Paul Nelson Farm hunting experience is pheasants—clouds of them. Simply put, our bird populations amaze those who’ve never seen the benchmark best of upland game country. 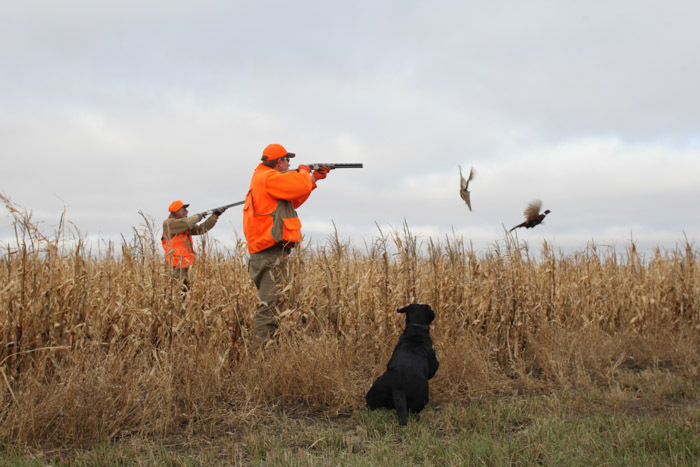 The countryside is gentle, rolling prairie, with fields and sky as far as the eye can see. 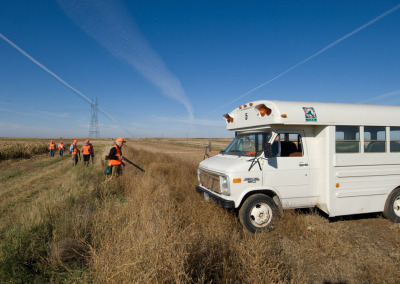 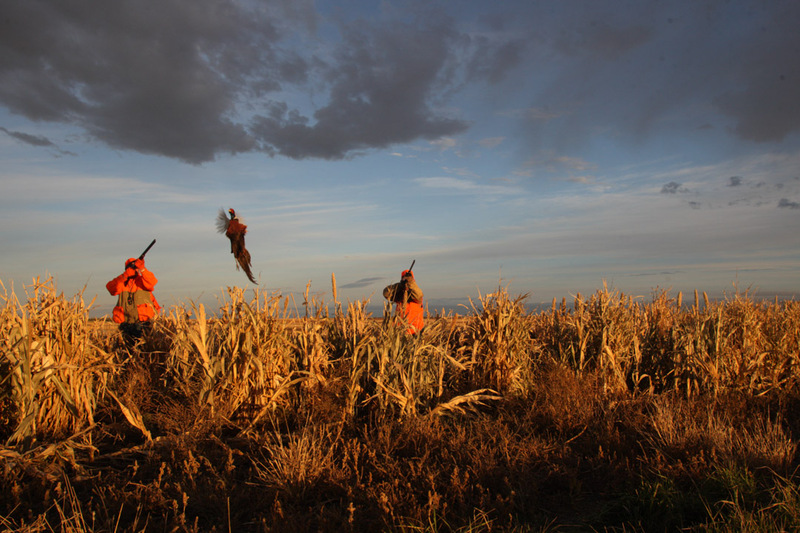 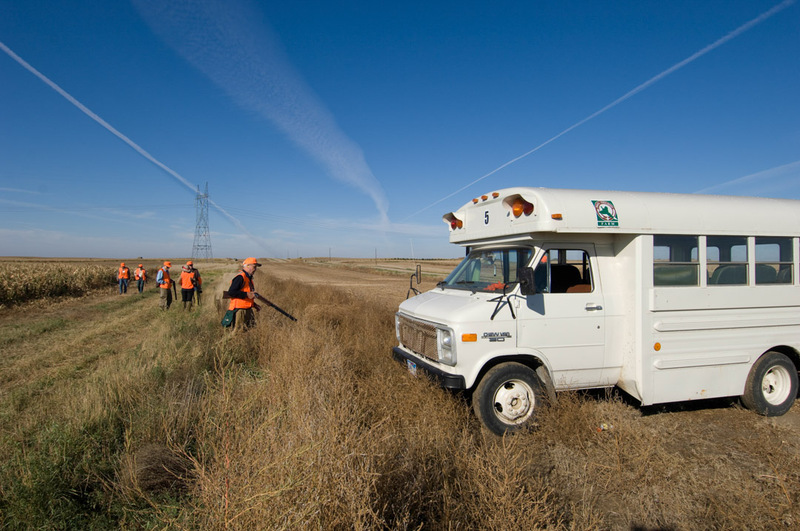 You’ll walk across cornfields, native grass rangeland, and millet/forage sorghum strips to flush out birds. 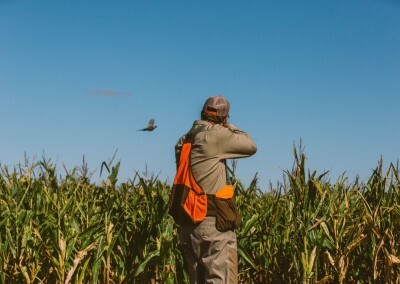 And at hunt’s end, you realize that the memories of that perfect shot and the cackling call of the rising rooster will be with you for a long, long time. 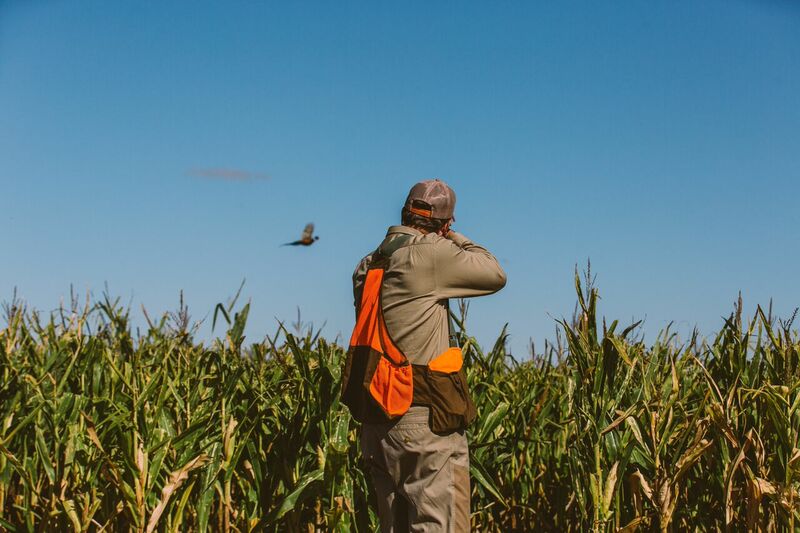 Finally, the moment you’ve been waiting for has arrived. 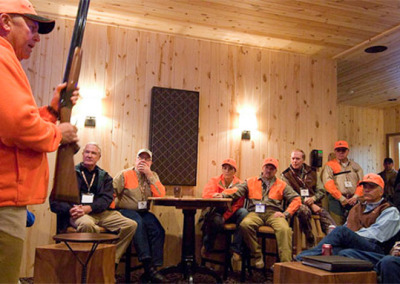 Breakfast is over, you’ve attended the short video and safety talk in the theatre room, and you are ready for that first hunt. 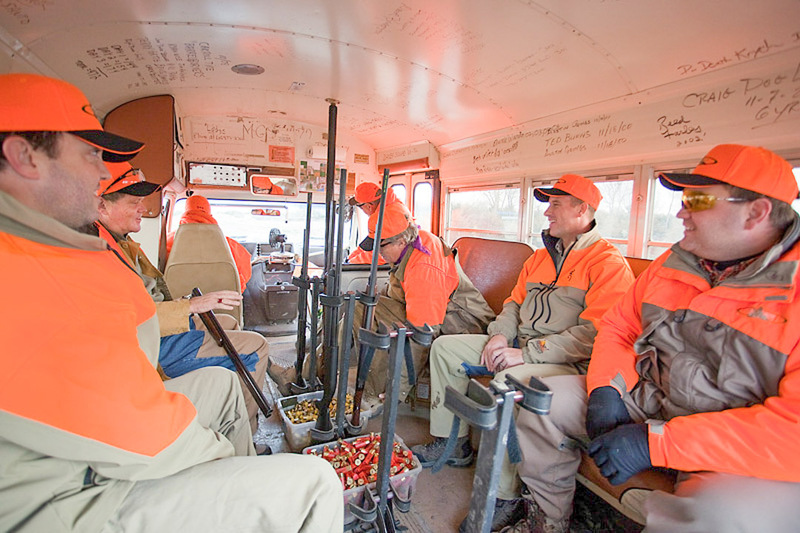 10:00 am: Buses are loaded up in front of the locker room. 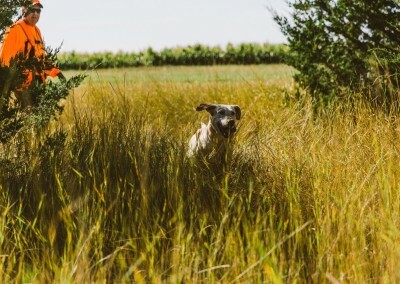 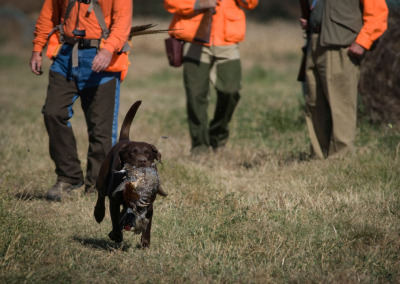 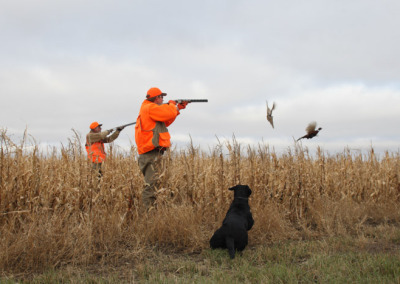 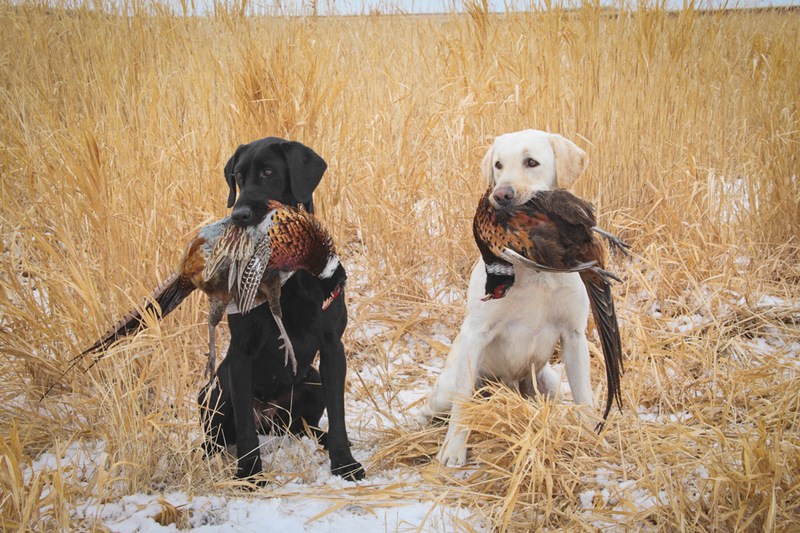 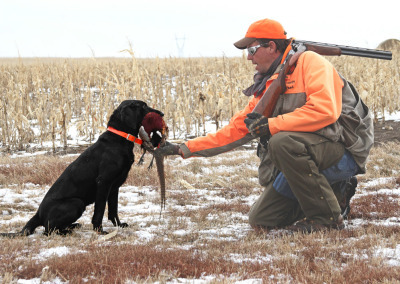 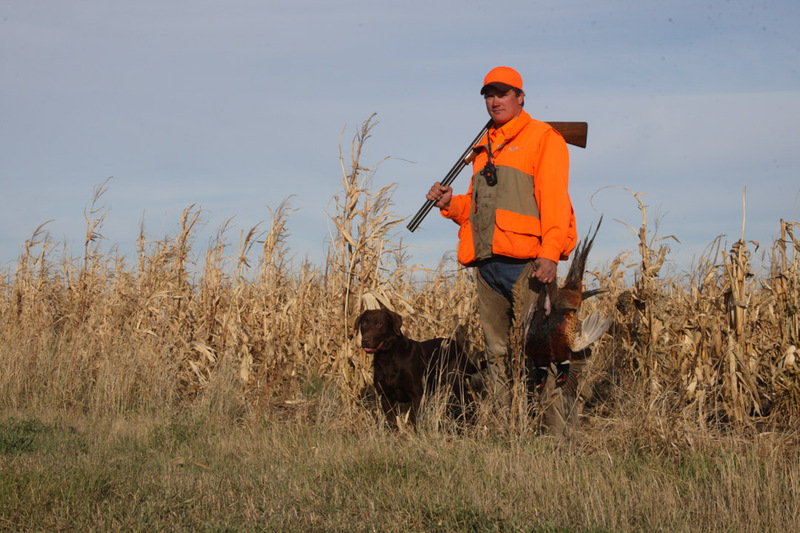 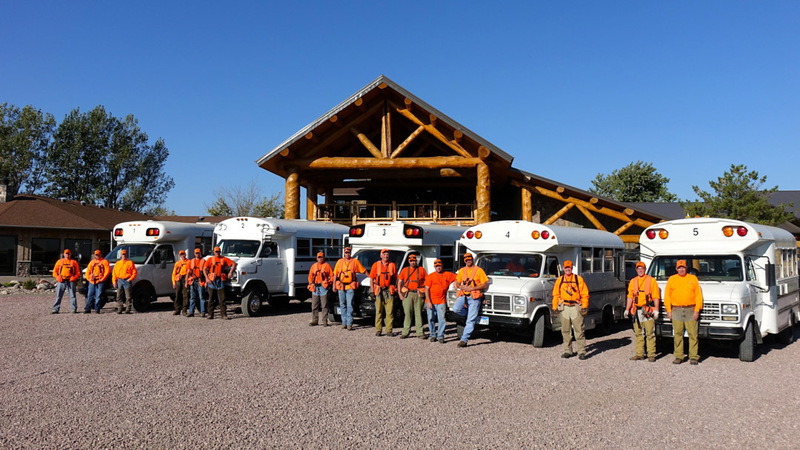 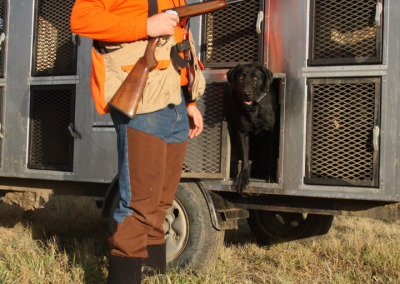 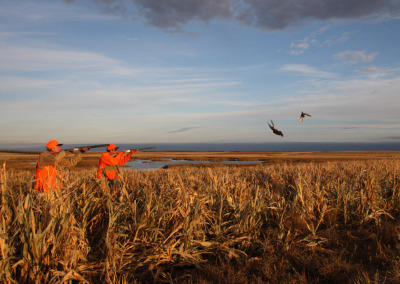 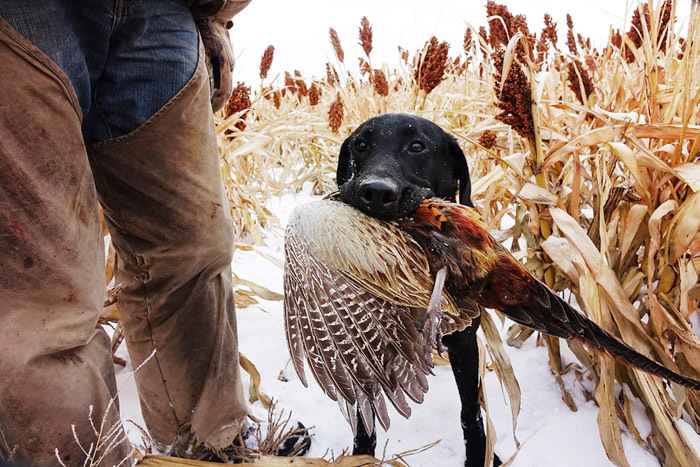 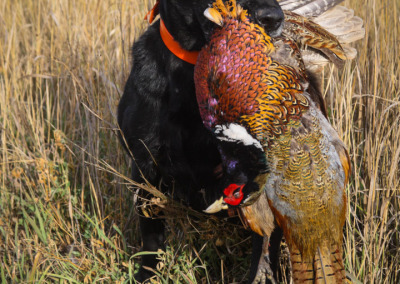 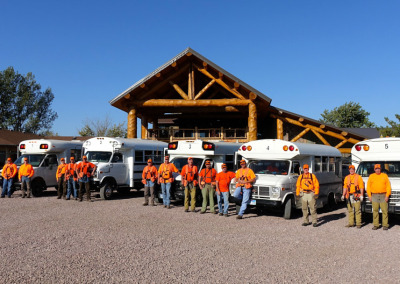 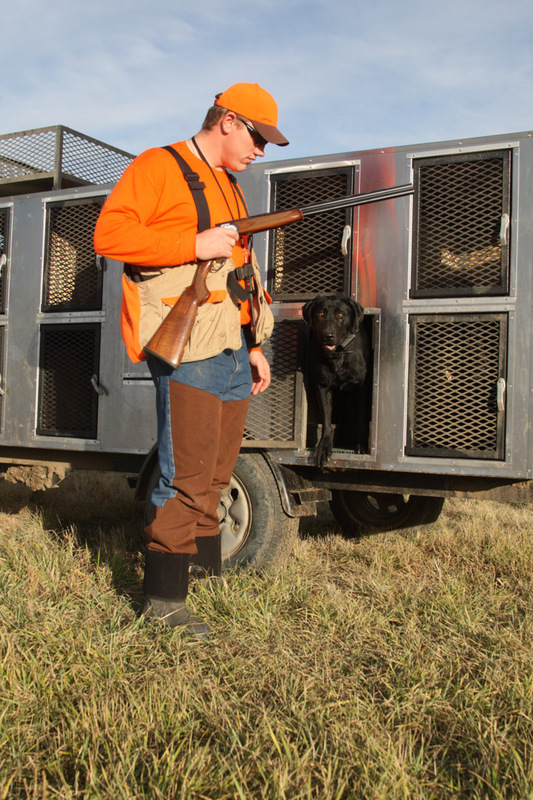 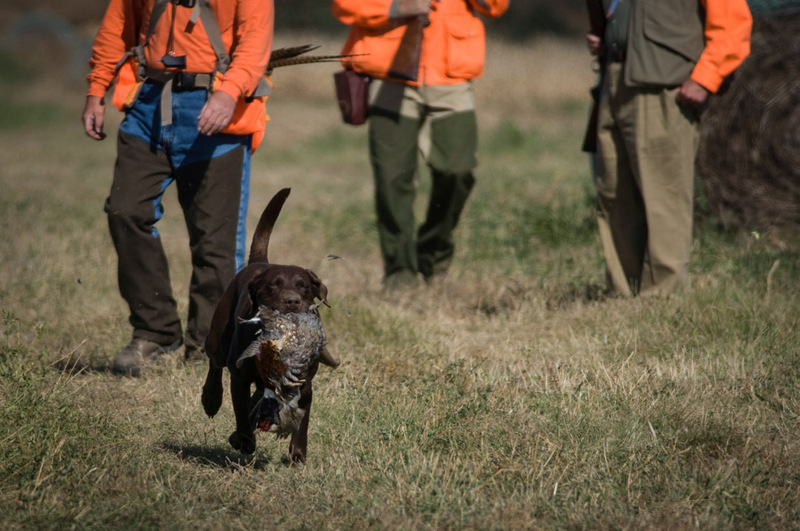 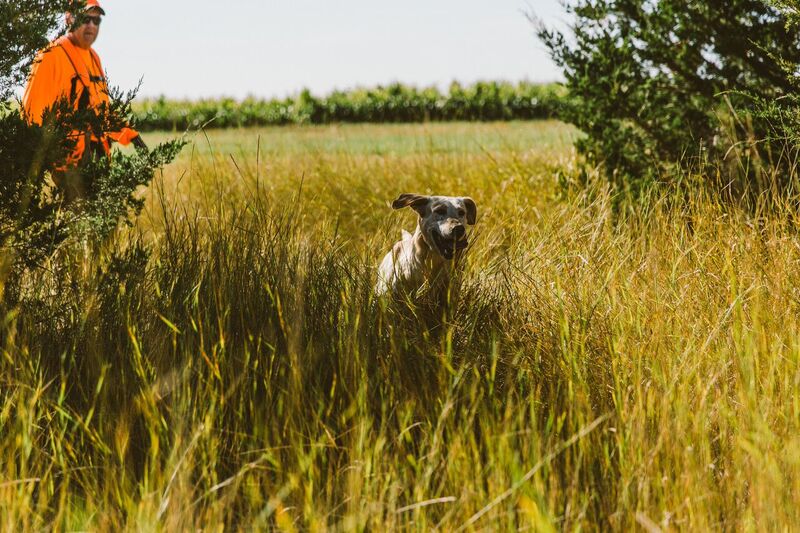 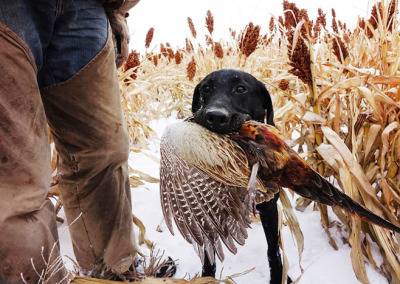 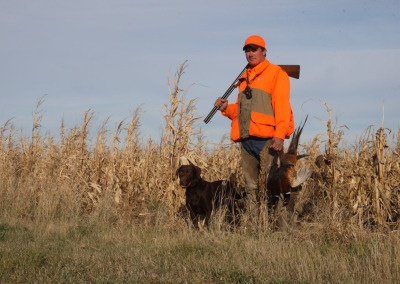 Your guides with their trained dogs eager at your service are ready to facilitate the hunting action. 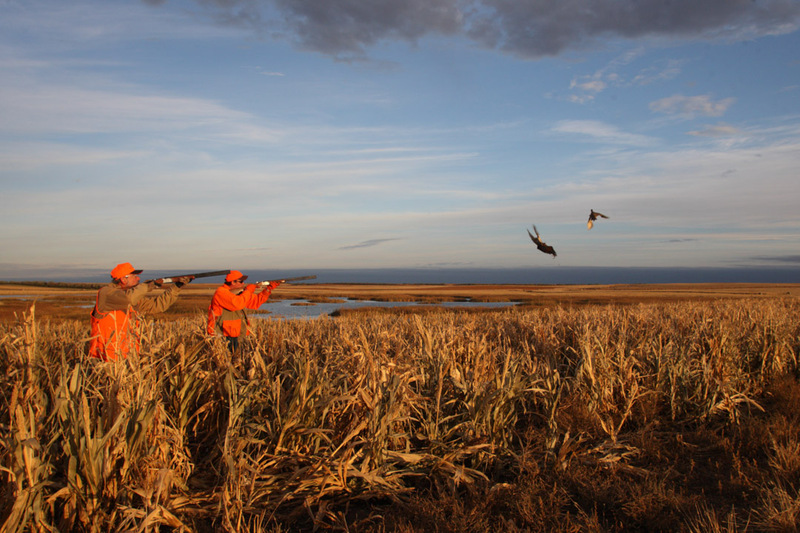 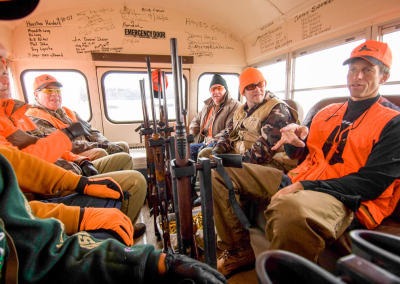 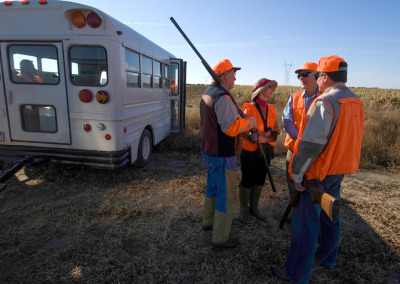 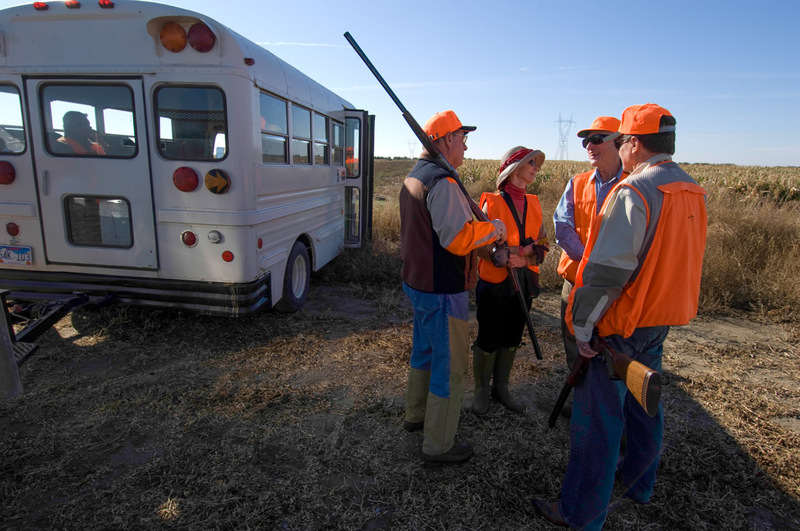 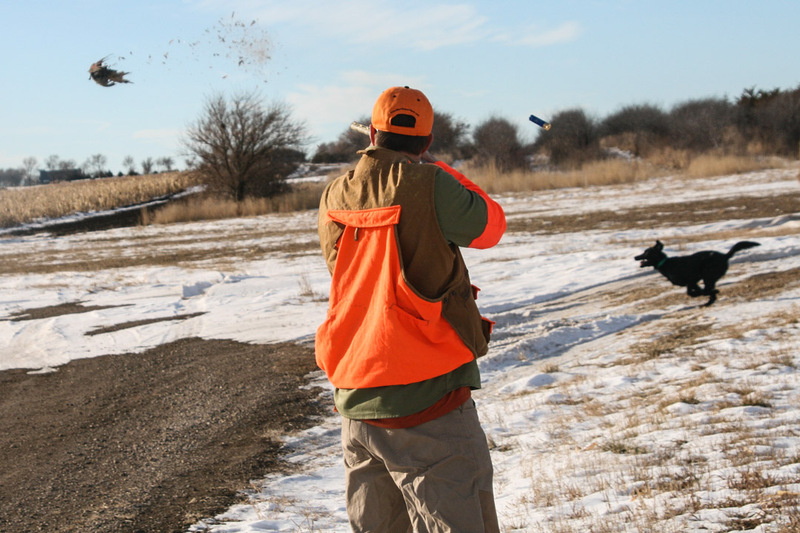 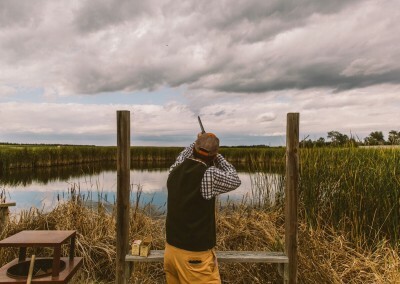 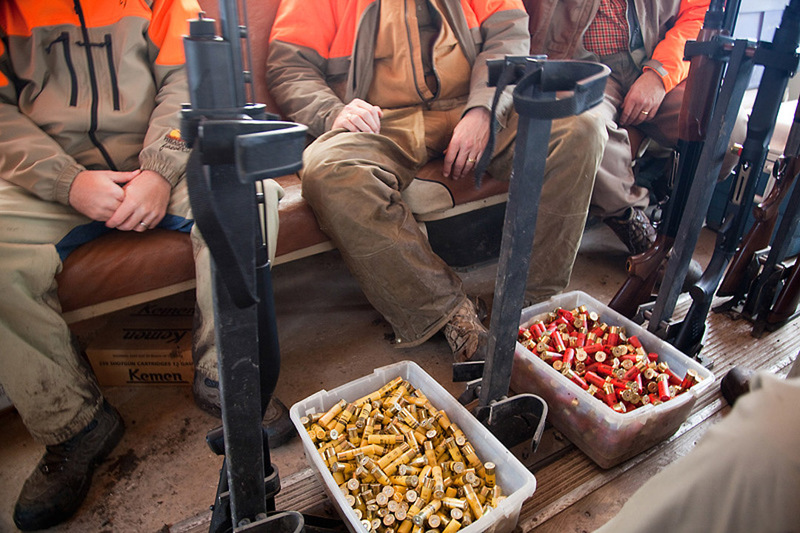 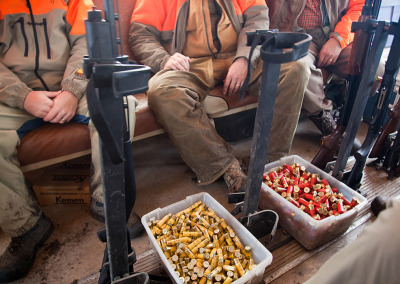 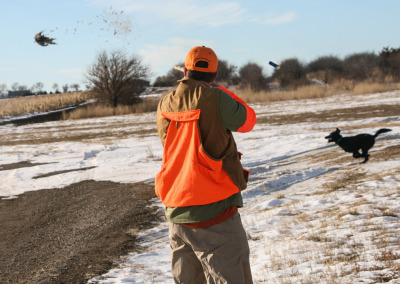 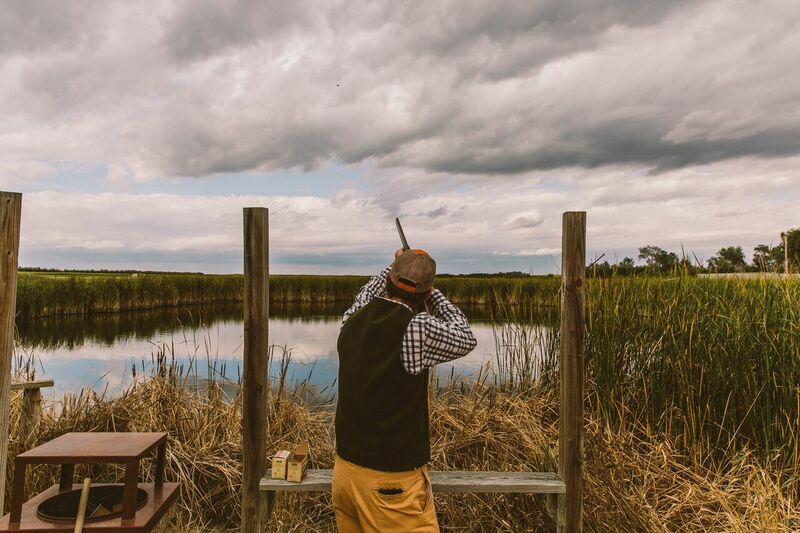 At Paul Nelson Farm, you hunt only with your own group of family, friends, and associates. 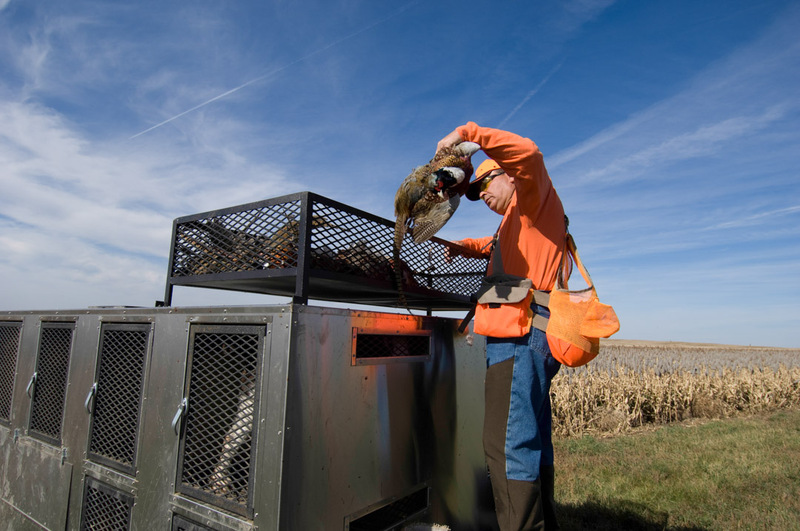 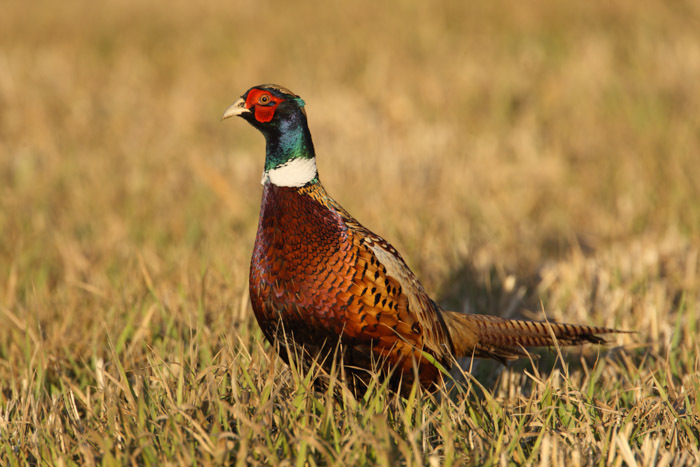 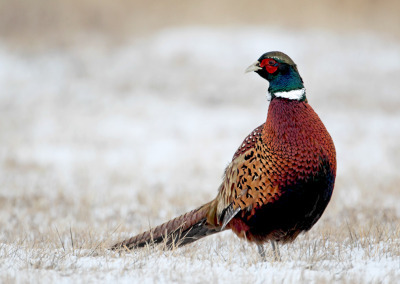 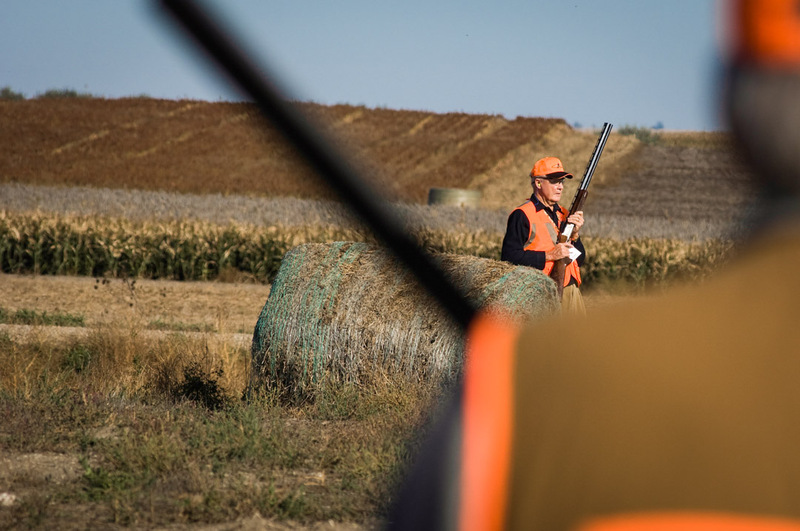 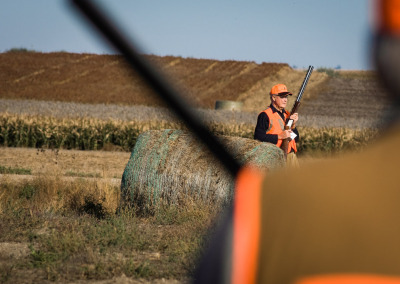 In less than 10 minutes, you are in the field, walking slowly in a line and waiting for your pheasant hunting guide to yell, “Rooster!” (In South Dakota, it is illegal to shoot hens.) 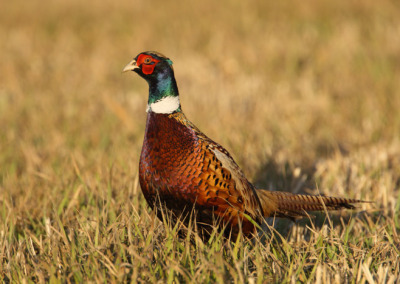 Soon, the sky erupts with the sound and sight of brilliantly colored ringneck pheasants. 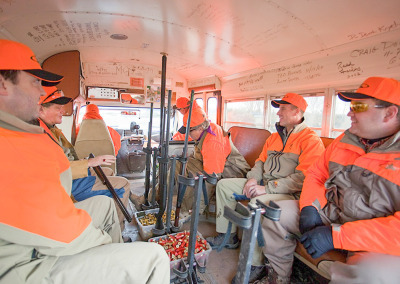 This continues for 3 hours, which will simply fly by both literally and figuratively! 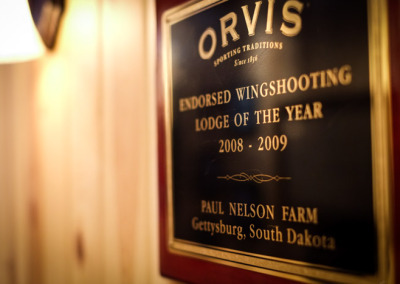 1:00 pm: Lunch at the lodge. 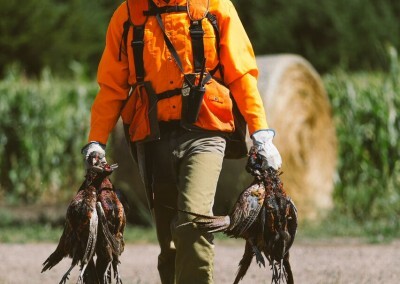 Our team will have a specially prepared meal to satisfy your hunger. 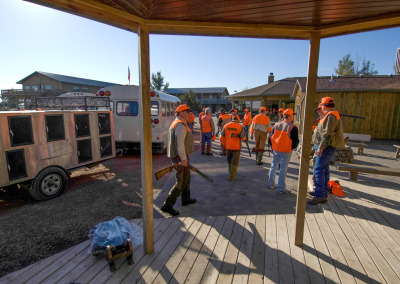 Then time for a quick nap, catch up on e-mails or simply relax around the lodge or outside at the bass pond. 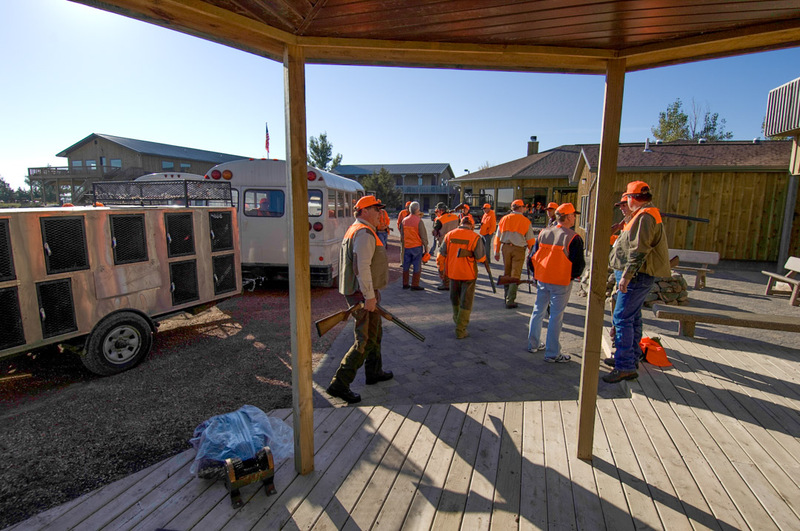 2:15 pm: Guides, dogs, and hunters are rested. 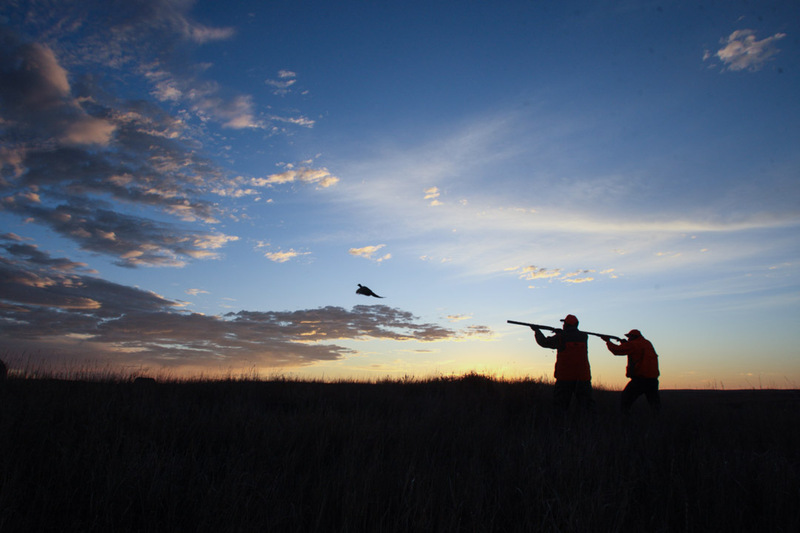 It’s time for the afternoon hunt. 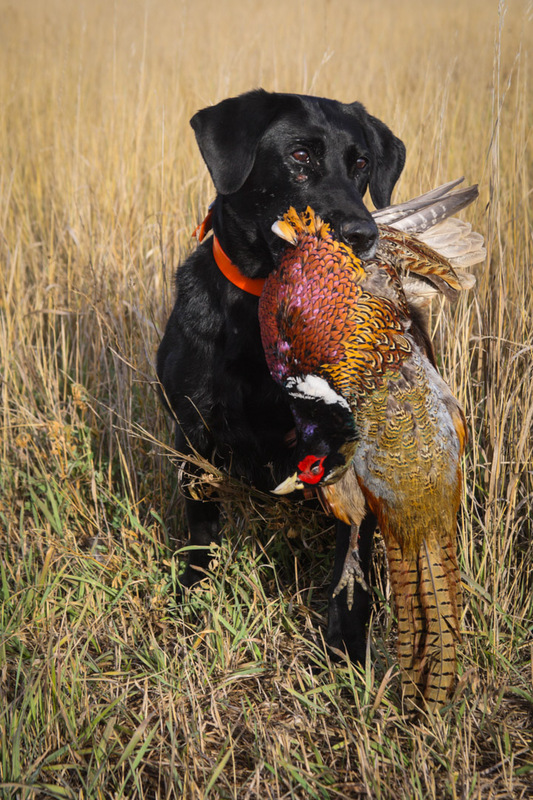 In similar fashion as your morning, the time will go fast as you see Rooster after Rooster and build on your relationships and memories. 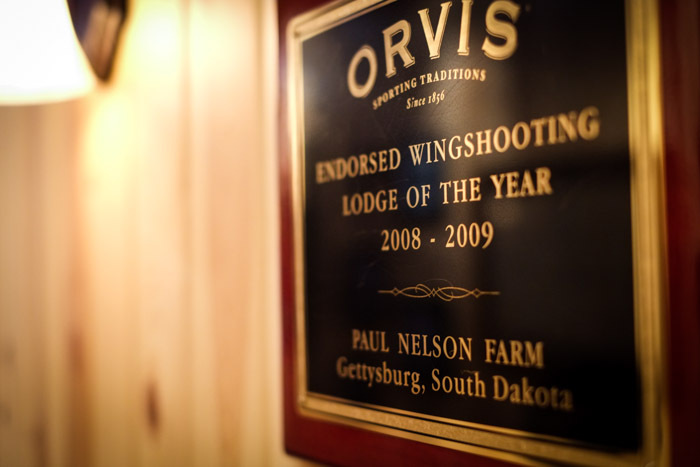 5:35 pm: Back to the lodge for hot hors d’oeuvres, drinks, and a shower! 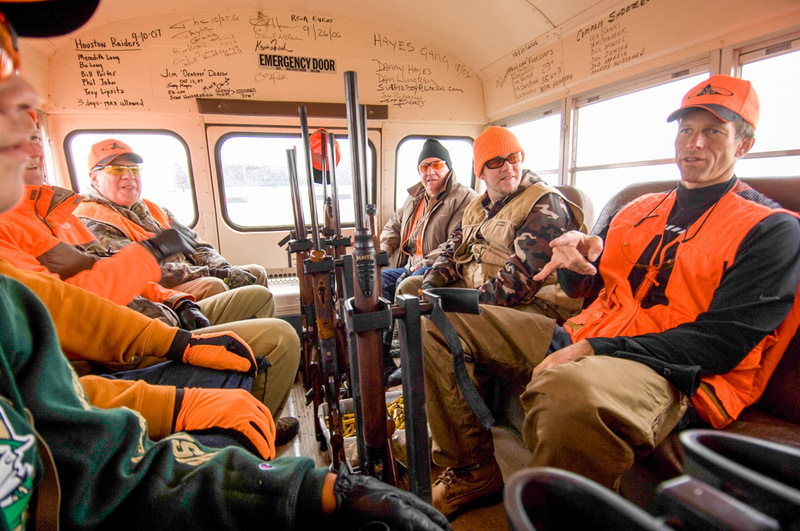 7:30 pm Dinner attire is casual – no suit jackets.